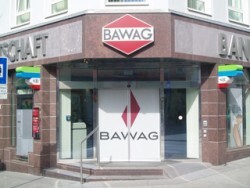 Bawag, which is held by the U.S. investment funds Cerberus, sues Linz and claims compensation for damages amounting to € 418m. In October, the swap contract has been terminated the city´s government. Besides the market value of the swap, which amounts to € 350m, also damages due to the termination occurred, the bank says.